I'm gonna give you to the count of 10 to get your ugly, yellow, no-good keister off my property before I pump your guts full of lead! One, two, ten! Sorry, Home Alone has been on a lot in my house. There have been 2 testing sessions this week and a third happening this afternoon. The Skaven are really starting to come together. Today at 3pm EDT / 21:00 CET is an Open RvR PTS testing event. You will be able to try out Skaven! Also, character copies are available. Welcome to WaaaghBlog and the Warhammer Palace! 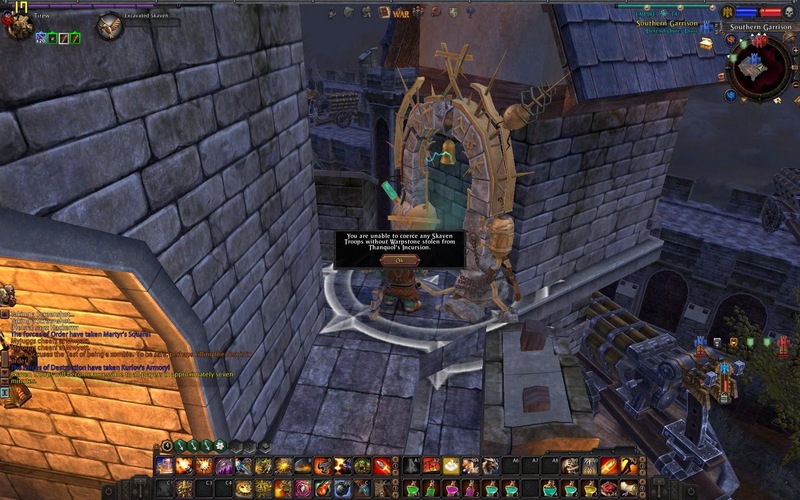 Hadrune writes about the new RvR Dungeon, Thanquol's Incursion. He makes some very good points, hopefullysome of them will be addressed. There is a post over on the WaaaghBlog about cross server scenarios. I'm still not for them, I really like the rivalries which develop with the current system. I am on Badlands though, so I could just be spoiled. Elewyth makes the argument for more PvE in Warhammer. I'm one of those people who skipped nearly all of the dungeons. Thehealeroftru brings us a humorous guide to Thanquol's Incursion. Great stuff as always. Love the system message from Mythic. Skar has some interesting ideas involving the use of influence bars and the new playable Skaven. Mr. Meh has a post about another WAR blog. It's always nice to see these kind of posts, thanks Mr. Meh. What do you get when you have a warband full of White Lions? Watch and find out. Oberheim is back with another great video. I hate and love Shaman. Oddly enough, someone made a trailer about Oberheim. Video of the new Thanquol's Incursion dungeon, with some helpful tips.